Search Engine Optimization is all about implementing the strategies that can help a website reach the top of SERPs of all major search engines like Google and Bing. This SEO FAQ will guide you through the major strategies and their importance in your overall SEO campaign. Keyword Research remains extremely important, as any good SEO campaign revolves around keywords. The important thing to understand with keyword research is to ensure that you choose keywords that are less competitive but are searched frequently. A keyword like SEO will have a higher search frequency, but would have a lot of competition too. While a keyword like SEO agency London will have lesser search frequency, but lesser competition too. It is important to understand that Google ranks pages rather than the whole of the website. In order to ensure that the SEO juice is translated to all pages present on your website, you must set up a site architecture that distributes the SEO juice evenly. For this purpose, inter-linking the pages together through internal linking remains the key. When it comes to using the keywords that you chose during the keyword research, on-page optimization becomes significant. It is not only important to spray the keywords within your content in order to perform well in SEO, placing the keywords strategically in the URL, in the page title, in the image ALT text and in the H1 and H2 headings also remains very important. However, all this must be done intelligently so that it doesn’t seem like keyword stuffing. No SEO Guide would be complete without the mention of link building. Link building remains important as it is the most significant factor in deciding the authority of a website. Gaining links through link baiting, directory submissions, guest blogging, press releases, blogger reviews, hosted sites and digital PR remain the perfect choices. There are two types of SEO techniques, i.e. white hat and black hat. While black hat SEO isn’t favorable, there do remain a few techniques that can work for you. 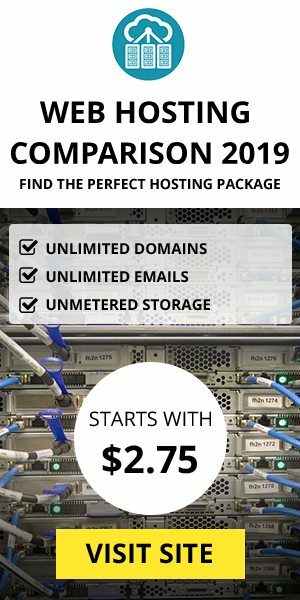 Paid directory link building and parasite hosting remain a few high value black hat techniques while keyword stuffing, automated link generation and automated content generation remain the poorest black hat tricks. On the other hand, white hat SEO is always recommended, though there remain a few techniques that you shouldn’t try as they aren’t really efficient. On-Page Optimization, XML Sitemap creation and PR sculpting are some of the high value white hat tricks, while Wikipedia links and use of Meta keywords remain some of the most poor white hat techniques. The impact of social media on SEO has increased manifold in recent years. Now a single good post submitted / uploaded to Digg and tweeted on Twitter can become viral in a matter of seconds. An excellent post on Digg would always make it to the homepage which would lead to its submission on Reddit and its reporting on a major blog. Similarly, a good post would get a lot of retweets and make its way to Facebook and stumble upon as a result. All these would count as backlinks for your website with major blogs linking to your site which would increase your site’s authority. All that is needed is excellent, catchy and engaging content. The nopCommerce remains one platform that is great for SEO. Being the best e-commerce solution, it has been drafted in such a manner that it actually helps the website out as far as SEO goes. By combining these strategies with the nopCommerce e-commerce solution, you can surely get to the top of SERPs! Copyright © 2019 NopCommerce Themes (nopcommerce templates). All rights reserved.